We’ve helped parents care for their children since 1967. Learn more. 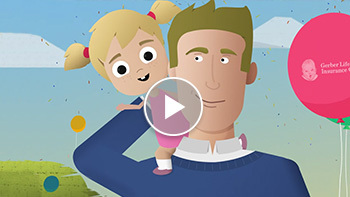 In this video series, we answer common questions such as, “Do children need life insurance?” We also explain the features and benefits of the Gerber Life Grow-Up® Plan, a whole life insurance plan for children that builds cash value and allows your child to lock-in a child-size premium rate he or she can choose to keep as an adult. Our customer service team is also available to answer any questions and help you apply for coverage. 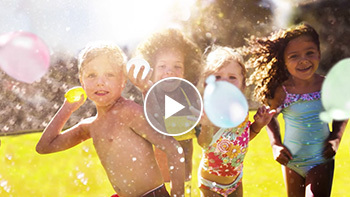 Learn more about the Grow-Up® Plan in the videos below. 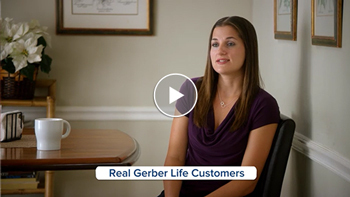 Learn what other people have to say about Gerber Life policies. 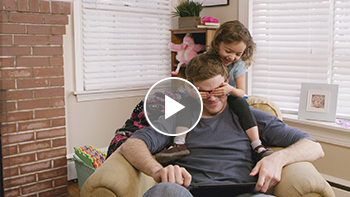 Give your child a more secure financial future with the Grow-Up® Plan. Every day, moms go to extraordinary lengths to protect their children. The Gerber Life Grow-Up® Plan for Just Pennies a Day! 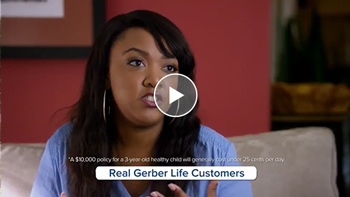 The Gerber Life Grow-Up® Plan offers parents security for their families for just pennies a day! Learn more about our Child Life Insurance. Who says kids get to have all the fun? Here are some things you should never outgrow. 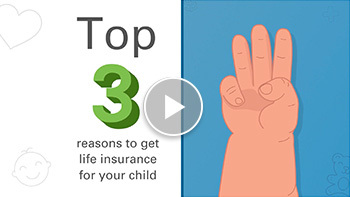 Parents buy their children life insurance for a variety of reasons. Whole life insurance builds cash value that can be used in the future. Learn more now. Clair lifts the spell of confusion about children’s life insurance. All of our life insurance policies offer choices in coverage with affordable premiums and an easy application process, but which one is right for you? 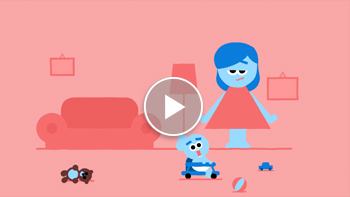 Through these videos, you can learn more about how life insurance works, the differences between types of policies and what to take into consideration when deciding on a plan. Of course, Gerber Life’s customer service team is also available to answer any questions and help you apply for coverage. 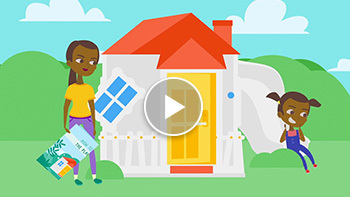 Learn more about adult life insurance in the videos below. With life insurance your family is protected no matter what the future holds. You’ve seen Gerber Life commercials on television – and now you can watch them anytime you’d like! 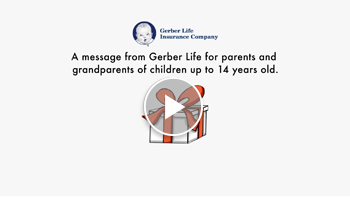 Below is our collection of TV commercials that showcase the features and benefits of choosing life insurance coverage from Gerber Life. 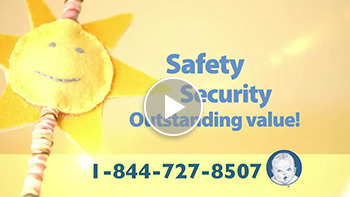 If you would like some quick explanations about our company, services, and products, watch the videos below or visit our About Gerber Life page to learn more. 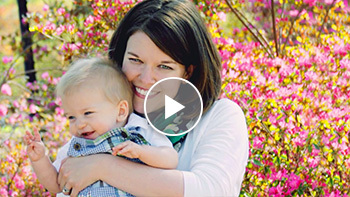 Real moms discuss their “mommy moments” and how Gerber Life can help. 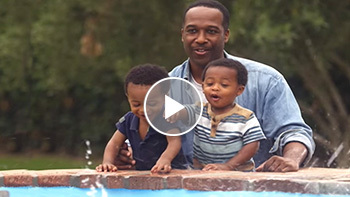 Hear from real customers about the value of starting early with children’s life insurance. 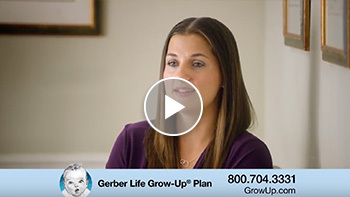 Learn about the benefits of the Grow-Up® Plan from real Gerber Life customers. 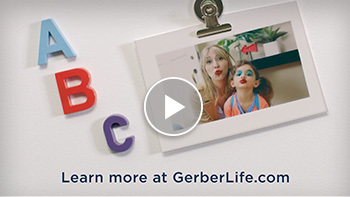 At Gerber Life, we understand that family means everything, because they are your world. Give your child a head start on a strong financial future for just pennies a day. Final expenses can be costly and difficult to predict. Gerber Life can help you protect your loved ones against this costly burden with our Guaranteed Life Insurance. 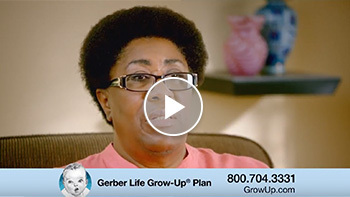 Learn about the Grow-Up® Plan, Gerber Life’s affordable life insurance for kids. 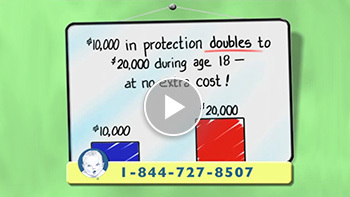 Two new fathers learn how the Grow-Up® Plan accumulates cash value over time. The walls, the carpet and grandpa’s face all seem like the perfect canvas in your child’s eyes – good thing you buy washable markers! Teaching Your Child Boundaries? Good luck! Welcome to parenthood, where personal space no longer exists. They grow up fast, and outgrow many things in the process. However, they will never outgrow their need for protection and financial security. Millions of moms trust the Gerber Life Grow-Up® Plan for their kids. 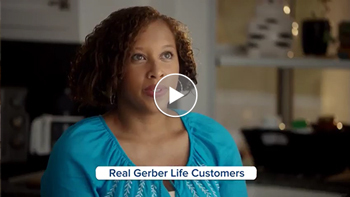 When it comes to protecting your family, Gerber Life Insurance makes sure you’re not alone. Kids can have surprising amounts of energy, and burn it off in even more surprising ways. When it comes watching their favorite cartoon, you’re on your own. When it comes to protecting your family, we’ve got you covered. Believe it or not, 18 years is not a lot of time to grow and guide your children – those years go by in a flash! But Gerber Life is here to give you a boost toward raising well-balanced and happy kids. 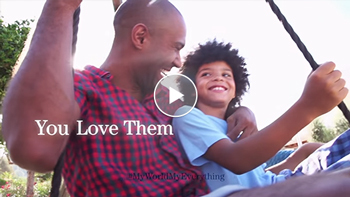 In this video series, we cover topics that matter to families today. 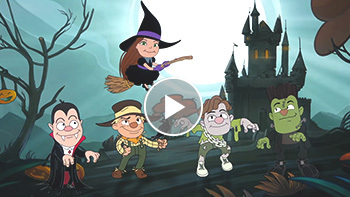 Our videos for parents can help prepare you through various situations, as well as provide ideas for activities that you can enjoy as a family. 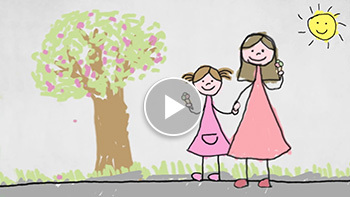 Watch our parenting videos below. 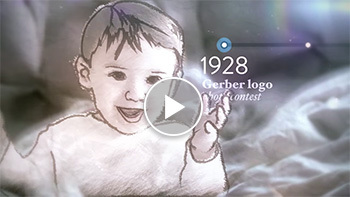 Celebrate 50 years of family at Gerber Life with this fun look at parenting today. Trust us, your child doesn’t expect you to be perfect. Learn what really matters to kids. There’s nothing like receiving an unexpected life lesson from dear old Dad.